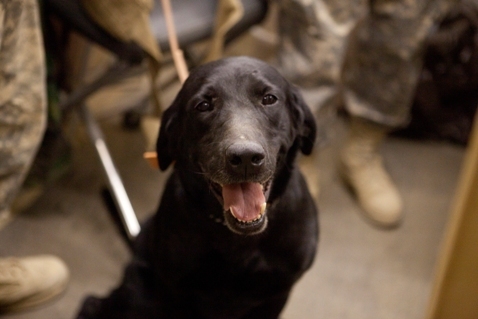 Meet Taker, a black labrador retriever with 3rd Combat Engineer Battalion, out of Twentynine Palms, Calif. The Marine Corps released this image Monday as part of a series showing the work done by Dental Detachment, Charlie Surgical Company, Combat Logistics Regiment 15 at Camp Leatherneck, Afghanistan. Taker was in for a root canal, the Corps said. And since everyone loves a good dog photo, why not share it here?